When it comes to retiring, there are a lot of potential trap doors and events you may never anticipate. Some of these financial surprises could potentially decimate your retirement. That’s the last thing you need when you’re 75 or 80 years old and it’s too late to recover. 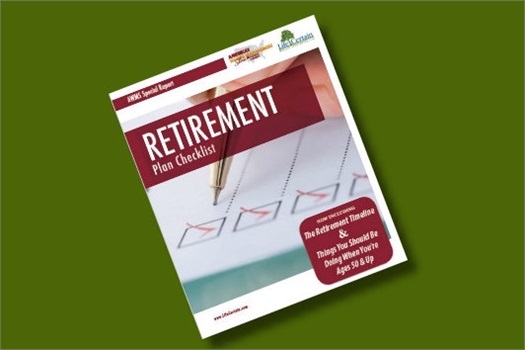 The Retirement Plan Checklist includes a Retirement Timeline to help you understand the things you should be doing when your age 50 and up. To receive your complimentary copy, complete the form below and check your email for a link to read, print and/or download the report to your computer.